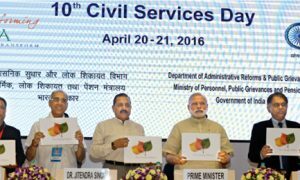 The celebration of Civil Services Day also saw an exuberant churning of the mind. The cream was churned vigorously and up came the butter after separating from milk. 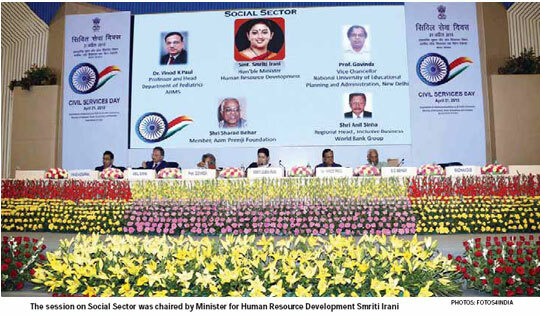 The same was the case with the two-day panel discussions on as many as five topics, including Social Sector, Housing, Employment, Agriculture and, to cap it all, challenges before the civil services in which the crème de la crème participated in the deliberations. Three main points came up during the discussions. One was that skills are of paramount importance in any sector. Even civil servants needed domain- or sector-specific skills, project, programme and contract management skills. Two, the need for convergence. Convergence between different services, different sectors and different fields is absolutely essential to take the country forward on the path of development. Three, the task of amending or totally changing the regulations and making them people-friendly. gfiles’ Ravindra Dubey covered all these sessions. Important points emerged in the panel discussion on ‘Context and Challenges of the Civil Services in India’ and thus surfaced suggestions on making the civil services a more effective tool of public service delivery and contributing to the country’s development. The panel concluded there was an urgent need for balanced development across the country, replication of the mechanics of good governance and their adaptation throughout. A common and integrated action plan of nation-building is needed through effective delivery of public services in an accountable, transparent, citizen-friendly, innovative, high-quality, cost-effective and time-bound manner. 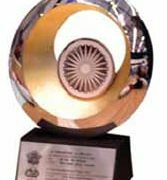 Throughout its deliberations, the panel strongly felt the necessity for a lateral exchange of expertise between the government and private sector, instituting rewards for timely completion of projects, tenural stability to ensure performance and productivity and least political interference, greater reliance on technology and focus of administrative reforms on electoral, political and judicial reforms. The panelists were unequivocal that maximum governance and minimum government is achievable only when the bureaucracy readies itself to embrace skill, scale and speed. 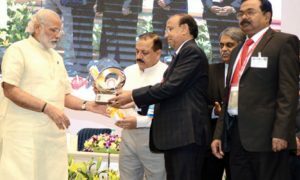 For this, reforms have to be so directed that the civil services become skilled, open, converged and connected. As far as skills are concerned, the bureaucracy has to equip itself with domain/sector-specific skills, project/programme management skills, including commercial, legal and financial negotiation, and contract management skills to implement large projects in a timely and cost-effective manner. In addition, civil servants should develop digital skills for improved service delivery and increased reliance on e-governance and mobile governance. This is specifically vital for the lower bureaucracy since they are in the front-line of public service delivery. The deliberations focused on cross-departmental working, inter-departmental engagement, and lateral communication among and within departments. A pressing need for breaking down the silos within the government was felt to unlock productivity and outcomes. Adoption of a shared services model was recommended for services such as IT, finance, procurement and so on, to avoid duplication in effort and cost. A need for the state government departments to share learning and best practices with their counterparts in other states was also felt. It was also felt that policies should be formulated with an open mind on new thinking or in consultation with external experts. Even the members of civil society, think-tanks, universities, other countries and states should be included in the process. Besides, social media, crowd sourcing and open sourcing can be utilised to connect with people and promote participatory governance. The culture of openness needs to be adopted for new forms of partnership with the private sector as there is also a need for the bureaucracy to be connected within and globally to imbibe best practices. It should also be connected to counterpart organisations and have horizontal networks across the world. Understanding global best practices will help the civil services to develop world-class acumen, felt the panelists. The panel discussion on ‘Social Sector’ had a focus on health, nutrition and education. The most critical learning from the panel was that though there was a clear-cut need for context-specific solutions, certain common underlying principles are imperative for an informed policy discourse. These principles are: greater interdepartmental convergence in policies and implementation, inclusive development through partnerships, focus on lifestyle (womb to tomb) approach in nutrition and health and the use of technology for healthcare and education. On the need for structural percolation in policy planning, it was emphasised that there could be no compromise on education in the national interest and literacy is key to improving public health in India. The panelists identified the key challenges as nutrition, goal of education, learning outcomes, inclusive development and role of the private sector. On the issue of nutrition, challenges that stunting, wasting and under-nutrition posed and their irreversible adverse impact on health and economic development were discussed. Women’s education and greater inter-sectoral convergence to impact health-sensitive indicators like sanitation, hygiene, women’s empowerment and education were stressed upon. While discussing the goal of education, the need to focus on social development with economic development being an instrument to support and accelerate it was highlighted. It was felt that the need of the hour is for civil servants to act as agents of social change. On the question of learning outcomes, the panel proposed that the quality of education is more relevant than merely increasing enrolment or tests. The quality of teachers, their subject knowledge and ability to impart learning, the immediate need for penetration of knowledge banks up to the block and village level, the need to focus on holistic and cognitive learning and the critical importance of girl child education, which has a multiplier effect on various socio-economic indicators, were the challenges that were identified. On inclusive development and role of the private sector, there was a discussion on inclusive business models and the potential for making India the world’s innovation hub for products and services. As far as opportunities and the way forward are concerned, the panelists felt that certain initiatives could be introduced or strengthened in the short term. For instance, on the issue of education, refresher courses for teachers, retention and incentives based on performance and penetration of knowledge resources to the block level can be introduced. State governments could supplement with programmes on adolescent nutrition, IEC strategies for birth spacing, conception post the age of 20 years and strict adherence to antenatal care. The deliberations of the panel discussion on ‘Housing’ established that the Union Budget 2015-16 has envisaged a roof for each family in India, that is, “housing for all” by 2022-the diamond jubilee year of India’s Independence that will be celebrated as Amrut Mahotsav. The current housing shortage has been estimated at about 4 crore units in rural and 2 crore units in urban areas. More than 95 per cent of this shortage is among lower income groups/economically weaker sections of society. Availability of land, high cost of financing, ineffective policies, lack of standardised regulations leading to procedural delays and inadequacies in project delivery were identified as the main challenges in the housing sector. Since housing is a state subject, the bulk of the required action needs to be carried out by the states. The Centre’s role is limited to that of policy formulation, planning, providing regulatory environment and facilitating access to finance. Also, urban and rural local bodies share a crucial role at the ground level. The panelists discovered specific areas of challenge and strategies to meet at the Centre, state and local levels, respectively. As far as land is concerned, the panelists observed that the Centre may facilitate creation of an inventory of unused public land and land acquired as per the Urban Land Ceiling Regulation Act (ULCRA), 1976. It may make affordable housing an integral aspect of new smart cities. On the other hand, states can increase the FSI norms in city centres to allow for high-rise growth along with improving and strengthening the existing infrastructure. States can also reform rent control laws, to enable the rents to rise at par with inflation and can digitise land records. Local bodies can demarcate and integrate affordable housing in the master plan like the Ahmedabad model. They can also merge transport plans to ensure rapid transportation links connecting upcoming housing with work centres. As far as finance is concerned, the panelists observed that the Centre can prioritise affordable housing by bringing it in the core infrastructure sector. This will enable housing to have better access to funds and greater procedural transparencies. The Centre can also develop low interest financing such as bonds, REITs, insurance and pension funds. Besides, with largescale financial inclusion happening through the Jan Dhan Yojana, fulfillment of KYC norms and other verifications have become easier. In this context, a model streamlined process for approval for low-income persons employed in the informal sector can be drawn up by the RBI. Similarly, states can reduce and rationalise duties and taxes on affordable housing.These form a substantial portion of the housing cost. They can also organise consultations with housing finance institutions to develop customised products suited to the state’s requirements, products for women borrowers, for instance. The Centre, on the policy formulation front, can link central funding and incentives for implementation of law and policy reform such as rent control legislation, building bylaws and so on. States, on the other hand, can create more rental housing for new entrants to cities through their own funds and through incentives to private developers and evolve a participatory land pooling policy as has been done in Delhi. Local bodies in this regard can make the holding of unused land more expensive through higher duties and taxes. In case of regulations, the Centre can establish a common regulator for all housing finance institutions for parity and transparency and states can establish real estate regulatory authorities once the relevant Act is in place. Local bodies, in this regard, can streamline building bylaws and establish single-window online clearances to eliminate ground-level corruption. They can also create land banks for future housing requirements as is the case in Hyderabad. In the matter of project delivery, the Centre can encourage private sector participation by easing the policy’s environment and can include modern building technologies for low-cost housing in the national building code. States on this front can adopt modern and indigenous low-cost housing technologies suited to the region and earmark available land parcels for private development with clearances and allied infrastructure already in place to minimise project delays. Local bodies can encourage training of workforce in modern technologies and simplify building bylaws and enforce stricter implementation through better monitoring. Besides, in rural areas, community-led housing construction with collective procurement can lead to economies of scale and better empowerment of individual house-owners. On ‘Skill, Employment and Entrepreneurship’, the panelists observed that with millions of people entering the workforce on an annual basis, India’s workforce is expected to grow to over 800 million by 2022. Given the rising demand for workforce across the global economy and India’s favourable demographic setting, the country has a window of opportunity to become a manufacturing hub and an exporter of skilled workforce. However, the challenge is the current level of underskilled workforce. Among new entrants to the workforce, only 2 per cent have received any kind of formal vocational training; this is abysmally low when compared to 96 per cent in South Korea, 75 per cent in Germany and 68 per cent in the UK. Some key challenges emerged during the deliberations regarding skills, employment, entrepreneurship and the eco-system. The panelists discovered that vocational education has low aspirational value attached to it because students and parents prefer academic degrees.This leads to scarcity in white collar jobs. The panelists also felt that convergence is needed between policy and implementation levels to optimise resources. Similarly, there was a need for rationalisation in various schemes run by different ministries to avoid duplication. Employability needs to be enhanced by aligning skill training to the demands of different industries. Standardisation in training delivery, assessment and certification is needed along with implementation of National Skill Qualification Framework (NSQF) to bring in horizontal and vertical mobility in acquiring skill, and independent assessment and certification process to bring quality in training. A suitable policy/regulatory framework for access to capital for entrepreneurship and promoting ease of doing business were also challenges, according to the panelists. It was felt that the role of the private sector needs to be enhanced in skill and entrepreneurship eco-system to complement the public sector initiatives. Bringing awareness about the attractive opportunities in vocational education and making it aspirational by the creation of skill universities and multi-skilling institutes is one of the key action points that emerged from the panel discussions. The training for the global market to enhance earnings and attraction of vocational education comes next. What follows is increasing the awareness about NSQF and the opportunity for vertical and horizontal mobility for the trainees. Setting up of national career counselling centres to create awareness about skill training comes afterwards. Local government and district administration should partner the planning and implementing skilling initiatives. Advanced multi-skilling institutes should act as mentors to current ITIs in a “hub and spoke” model, to improve performance of the existing training set-up, panelists opined. The panelists felt that with the challenge having been identified, and all partners putting in place the mechanisms to address it, the goal of Skill India looks definitely achievable. The discussion of the group on ‘Farmer & Agriculture’ was structured around five themes including ensuring effective, accurate and realistic land title system, lab to farm which includes issues like lack of focus on agri-based research and higher education in agriculture, farm to table which includes the issues of how to get both agri prices as well as agri markets right, access to credit focusing upon lack of banking and proper insurance covers for farmers and cause of landless labour and lack of alternative skills. Viability of the farm sector, risk exposures in the farming sector and inefficient markets are the three major areas of the concern that emerged from the panel discussions. There was consensus among the panelists that an efficient and accurate land title system is a prerequisite for most reforms. Agricultural lands were first surveyed in the middle of the 19th century. In most parts of the country, no such surveys have been redone. India still relies on century-old maps. Apart from this, there is a wide gap between what the records reflect and what exists on the ground. This gap is constantly widening. The appearance of wrong names of persons as owner(s) for a given parcel of land has further compounded the situation. The net outcome of all these anomalies is that the land titles are defective. The farmers often refrain from investing in their own lands. They spend a huge amount of time and resources on litigation. A defective land title system also obstructs any crop insurance system. The panel made several recommendations. On making the land title system effective, the panelists strongly recommended a comprehensive survey of all land holdings, utilising modern technology, to be completed within three years. The outcome would be digitised maps of all land holdings. The land revenue department should go back to the basics. The officials should own the responsibility of recording correct titles of lands. This would require massive capacity-building right from the level of patwaris to collectors with complete knowledge of laws relating to transfer of lands. As far as marketing is concerned, the farmer, at present, does not have a choice of selling his produce the way he wants. To provide better choice to farmers, creation of unified agricultural market has to be initiated in the country. These unified markets, as a first step, could emerge at the state level. This would require amendment of the APMC Act (Mandi Acts). Currently, there is no concept of online marketing for farmers. The middlemen continue to exploit them. APMCs should be restructured so as to provide an electronic platform to market their produces. Online grocery retailers should be further encouraged and infrastructure for e-trading in the commodity market should be developed. The panelists also opined that the regime of MSP needs a relook. In the area of risk management and insurance, the crop insurance system needs to be transformed. The Centre and state need to partly bear the premium. The extra burden on the state exchequer can be compensated by putting a cess on the farm input industry or on export of water-guzzling crops. Once the land holdings are digitised and titles corrected, the entire crop insurance claim management could be technology-driven and the claims could be linked to Jan Dhan Yojana. On the issue of institutional reforms, financial outlay for agri-research can be enhanced to 1 per cent of the GDP. But it needs to be ensured that it is managed efficiently.